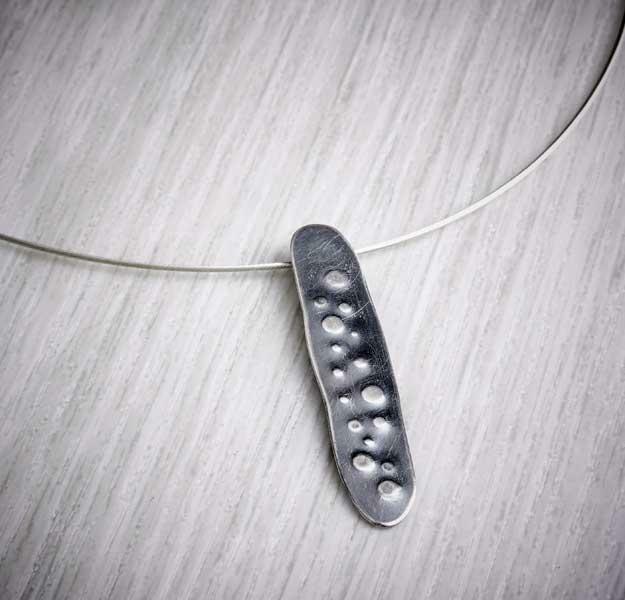 Delicate, lightweight and long, these textured necklets are inspired by sea urchin fragments found on the beach. 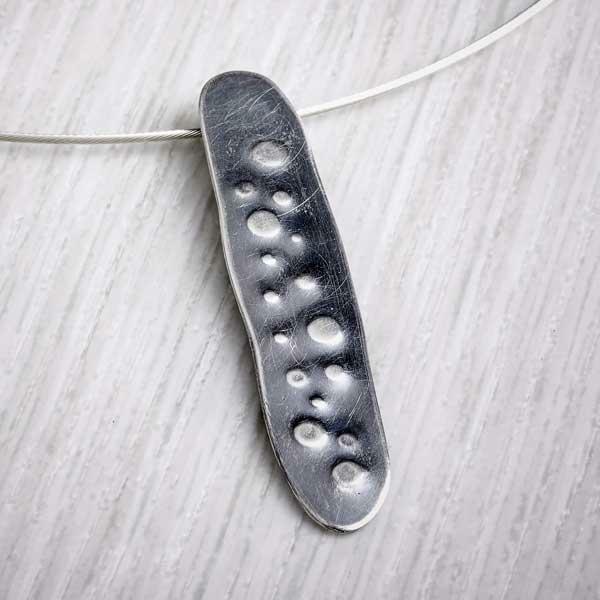 Made from a the flattened bowls of sterling silver teaspoons, oxidised and polished back to revel the nodules created by punching the reverse of the silver. 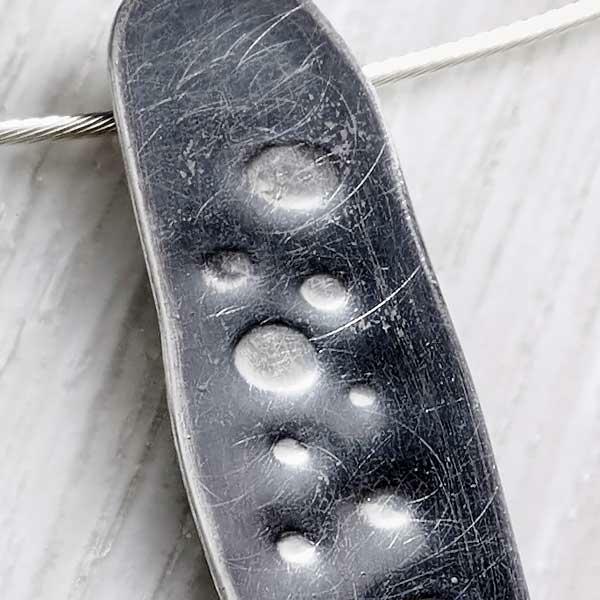 Given a slight brushed finish, each recycled silver necklet is completely unique. 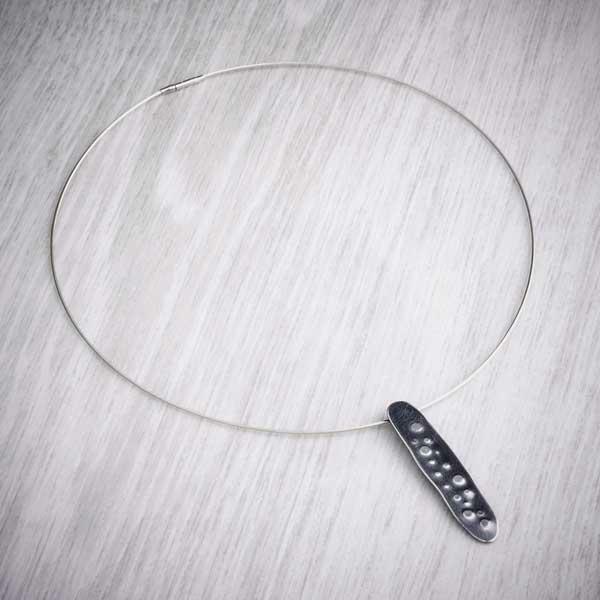 Urchin necklets are all handcrafted and therefore sizes vary slightly from necklet to necklet. Each necklet measures approx. 4.5cm x 1cm. 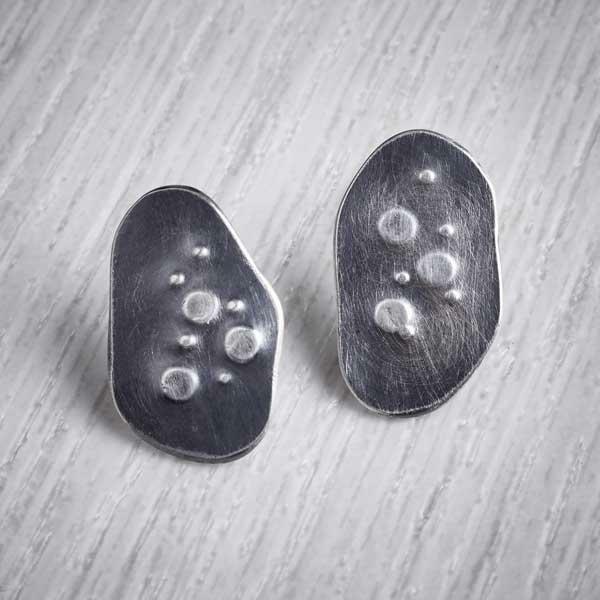 Formed from the flattened and textured bowls of sterling silver teaspoons mixed with 100% recycled EcoSilver.